SO, you might connected to a network but it happened that the user or the owner of the network does not know how to bypass that and now you cannot do anything. But no worries, now it is time to set it up on your mac. and get it through. yeah!!! 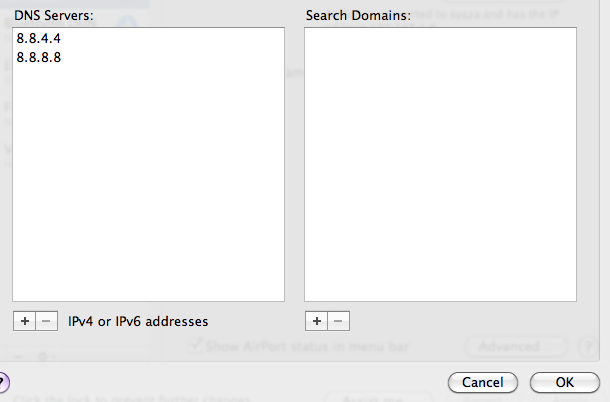 Wow, now it is time to change the DNS and add these two DNS. Actually it is Google Free DNS. sama aje dengan ubah dns pada router.